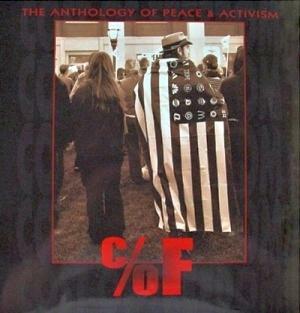 Cost of Freedom (Howling Dog Press, 2007) is a unique book that documents the contemporary American peace movement. The book has been praised by Howard Zinn, Noam Chomsky, Thom Hartmann, Harry Belafonte, Ralph Nader, and Ramsey Clark. Challenging a belligerent, ask-no-questions concept of patriotism, in 2005 novelist Mike Palecek began gathering stories from peace activists across the U.S., asking their perspective on the “cost of freedom.” Along with Whitney Trettien, an MIT graduate student and Green Party activist, and Michael Annis, an independent publisher, they collected letters, articles, sentencing statements, songs, poems, collages and photos from activists around the country. Cost of Freedom documents the everyday revolutionary acts of over 75 courageous men and women -- common citizens with an uncommon resolve for peace, truth, and liberty -- from a grandmother's stay at Camp Casey to a young man's counter-inauguration protest (and run-in with the FBI). Thomas M. Sipos is proud to be a contributing author to this book. In 2008, he moderated a panel discussion at Santa Monica's Track 16 art gallery to promote Cost of Freedom.